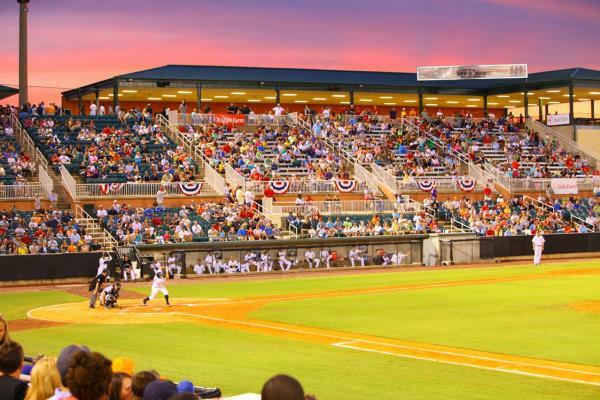 The Ballpark at Jackson is a 6,000 seat Minor League Baseball stadium located in Jackson, Tennessee. Opened in 1998, it has been the friendly confines of the West Tenn Diamond Jaxx and now the Jackson Generals. The Ballpark at Jackson was built by the City of Jackson, Tennessee, and is the home of the Jackson Generals of the Southern League. The stadium is located east of downtown Jackson and is visible just south of Interstate 40. In addition to hosting Southern League baseball games, The Ballpark at Jackson was awarded the 2010-2016 Ohio Valley Conference Baseball Championship as well as the 1999 and 2011 Southern League All-Star Games. High school and college baseball games are also played there in the spring before the Jackson Generals season begins.